Prompted by a gnawing emptiness— missing opportunities to have windows on the classrooms of two accomplished teachers and their students through their blogs. As Anne Davis and Darren Kuropatwa found new directions in their lives, I celebrated with them; and selfishly regretted the loss of the opportunity to connect and develop relationships with their students. And just as great the loss of their transparency in their practice surrounding blogging which was and continues to be a beacon -shining on the potential for making student thinking transparent, for building communities of learners and bloggers, for enabling student ownership of learning, for extending learning through audience participation , for collaborating and reflecting, and for promoting learning in which mistakes become avenues for continued learning. On Darren’s class blogs, student authors composed daily scribe posts and expert voices projects which not only made their understanding of the concepts of the day transparent but also helped deepen their learning as they taught others through their blogging. Classmates helped with understanding by noting and suggesting in the comments. Excellence was expected; mistakes were viewed as a part of learning. I shall forever be eternally grateful to Darren for accepting me as a mentor for a number of years, trusting me to comment to his students. His transparency in describing his ever evolving and ever more accomplished practice was a source of great joy and learning for me. As well, the years that I had the enormous privilege to be a commenter for Anne’s 5th graders and learn from Anne and her students profoundly touched me. I learned so much more about joy in learning --particularly blogging, and reflecting. Anne’s process of developing an understanding of blogging for her students seems to me to be exemplary as they examine and explore the concept of blogging framed by the traits of writing plus linking and gradually move from commenting on other blogs to designing and writing their very own posts. Anne always recognized the importance of audience for student voices and consequently Harley and I were delighted to become 2 of many who were contacted in advance and invited to become a part of the group of commenters. Posts were never reviewed by her prior to publishing; commenters often provided pointers for improvement. Anne often asked them to “bump” their writing later in the year by going back to a post and revising and she developed a process for proof revising with podcasting which was very effective. Her kids truly enjoyed collaborating and connecting with Darren’s high school and Clarence’s middle school students. I’m really looking forward to the chapter publication of her work on building a community of bloggers that describes the complexities and nuances of blogging with young people. Involved as a mentor with Darren’s students and as a commenter with Anne’s, I had the sense that something pretty special was occurring. Now, upon lots of reflection and collecting all these resources (and I’m missing many) I’m wondering if they don’t they point to pedagogies that epitomize the potential of and the reasons for blogging? What keeps us from offering such incredible opportunities for joyous, authentic, collaborative, student owned learning for all our students? Don’t all our children deserve these kinds of opportunities? America needs a citizenry of creative individuals with a wide range of talents to sustain its tradition of innovation. Americans need talents and abilities that are not available at a lower price elsewhere on earth. American education, despite its many problems, has at least the basics that support the production of a more diverse pool of talents. However these basics are being discarded by NCLB and similarly spirited reform efforts. "The American education system now is driven ... to push us toward standardization, centralization, and embodying test scores, which actually I think is moving American education away from the future," he says in the video, produced by the Mobile Learning Institute and sponsored by the Pearson Foundation, the philanthropic arm of the publishing giant. "The global economy requires niche talents, requires people to become artists, become creators, become musicians, become innovators, become people who are passionate about their work." Zhao makes a strong case that uniform tests result in monolithic thinking. In the modern global economy, the passion that results when people are allowed to develop along diverse paths is far more precious than the large scale mediocrity that results from national standards and a test-centered (or "data-driven") school culture. Most pointedly, he questions the contradiction between President Obama's condemnation of the emphasis on tests, and his embrace of "tougher, clearer standards" as the key to reform. Isn’t this powerful, good thinking? How can we persuade policymakers to read and listen? “Your state has probably already committed to using them. “On standardized standards: I'm a fan of disagreements and messiness—and maybe that's beyond the call of Reason. But here's a try. If we all agreed on everything, or even came close, democracy would be an inefficient and cumbersome business and a luxury we could ill afford in tough times. Yet getting agreement is no easy matter. Democracy was "invented" to do that—when needed. “There are plenty of reasons to question this movement, but here's the scariest part for me. This Core Standards movement should scare everyone who believes that meaning and learning is still most powerfully made in the spaces that students and teachers share. Karl Fisch’s What’s Core? summarizes and extends many of the points in all the conversations. Isn’t this a time to raise your voice and comment? My initial reaction-- similar to National Board Certification but-- where are the standards? My personal experience-- those standards explicitly stated a belief in social learning, respect for diversity, and a student centered pedagogy that was expected to be evident in each of the four areas that TEP and research acknowledge are attributes of teacher quality. For some reason, perhaps this lack of standards and what I believe is a questionable premise for the creation of a school, seemingly missing the point of learning, I couldn’t let this go and looked farther. I wonder how these bits and pieces strike you? First, it seems to me that personal beliefs regarding learning directly correlate to the culture of a classroom. When Jackie and I learned together, my evolving pedagogy had reached the constructivist stage and I prided myself as being a guide on the side, an expert learner who sometimes attempted to model and demonstrate and at other times created opportunities for discovery and exploration. Perhaps more appropriate for this connected, networked world in which we now live and more aligned with my current connectivist approach is the perspective of teacher as “meddler in the middle” (my sincerest thanks to Keith for introducing me to the work of Erica McWilliam; I love the term “meddler” when thinking about learning). “In her discussion of the teacher as meddler in the middle, Erica identified three sets of 21st Century Skills:academic functional, aesthetic digital and dynamic interactive. She suggested that intellectual clout was needed in this work to become ‘usefully ignorant’ as the meddler in the middle. We must be pedagogical experts but not knowledge experts. The 21st century classroom will need to be: Seriously playful, Epistemologically agile, and Low threat high challenge. Erica explored the skill set of the meddler and her fascination with design, disassembly and rediscovery. She illustrated her point with the story of her as a young child cutting up a tennis ball to find the bounce in(side) the ball. The meddler’s classroom is: Respect rich, Structure rich, Conversation rich, Information rich, Challenge rich. The classroom is in design mode: what is the idea good for; what does it do and fail to do; does it have a future; how could it be improved; what is the value add? The design classroom is characterised by: Knowledge more than facts, Deeply understand what is being built upon, Social processes. Imagine the learning! I’d love to be a meddler—a “meddler” cultivating community and a growth mindset. “The perception students get from too many professors across disciplines from kindergarten to graduate school is that education is not about real discovery and continuing exploration, but is rather a game of ‘let’s see if you can say what the teacher wants you to say’. Building community in the classroom requires that we create a “laboratory for personal disarmament”, described by Scott Peck, (1985: 69), instead of the guarded, competitive contributions we often encourage by our leadership. If we are intentional about building community in the classroom, we must learn how to reward cooperation, rather than competition. This means engaging every student in full participation so that their life experience becomes a resource to us and to their peers. As we offer our subject matter expertise, we also need to demonstrate the truth of the saying, “If you would be a teacher, by your students you’ll be taught”. Our challenge is to model and facilitate learning as a cooperative, exciting and creative joint venture. Envision “Learning as a cooperative, exciting and creative joint venture.” What a classroom culture! One whose potential for engaging students is unbridled, I would think, if also teamed with the cultivation of a growth mindset , as Carol Dweck describes in more detail here. "...people's self-theories about intelligence have a profound influence on their motivation to learn. Students who hold a "fixed" theory are mainly concerned with how smart they are—they prefer tasks they can already do well and avoid ones on which they may make mistakes and not look smart. In contrast, she said, people who believe in an "expandable" or "growth" theory of intelligence want to challenge themselves to increase their abilities, even if they fail at first." I'm thinking that too many students who "play the game of school" well have a fixed mindset and respond poorly when faced with challenges of connected, networked learning. Nurturing and cultivating a growth mindset in the clasroom, recognizing effort, can be an important component in growing a community for learning. Meddling, nurturing and cultivation are good, hard work that never ends, that sometimes are exhausting, that sometimes take more time than we would like, that when successful illuminate our very souls– With kind nurturing and cultivation, won’t our youngsters have the opportunity to become all that they can be? And won’t we, our students and our world be the better for it? Or not? At my feet lies Harley, an aging, wise, and loving 90 pound German Shepherd. Rescued from abuse and neglect some 6 years ago, this handsome guy has become an integral family member.. His love of life—in the past chasing deer, treeing wild turkeys, and stalking rabbits -- is still evident as his heart, his loyalty, and his love shine through despite his increasing deafness and weakened hindquarters. And now a seasoned blogger who appears to bring love, and laughter, and learning to his audience and collaborators—those youngsters who still believe and want to believe and join in the fun as this canine speaks to them. I said out loud as I read his article on the Joy of Learning and pledged that Harley would continue to blog as long his audience appreciated his posts and he and they learned from each other. To this day in 2009, Harley’s posts do encourage a sense of wonder and a willingness to care for each other as he communicates and learns through connections on his blog. And happiness and learning are evidenced this year by recent posts from Reflective Voices (5th graders in Georgia, another of Anne’s projects) who looked back on the year commenting to and hearing from Harley. Harley thanked them here and linked to each student’s post; Filemon’s is particularly revealing. Isn’t the addition of the term “compelling” appropriate here? How is it that a shepherd can encourage multiple comments from Graciela well into the evenings? Aren’t these youngster’s reactions to Harley’s blog telling us something? Could it be that a voice that is unique, that is joyful and thankful, that radiates love and concern for all , that shows a genuine interest in his reader’s learning can truly model and generate engaged learning in which youngsters’ eyes sparkle, in which questions abound and answers are eagerly sought, and from which a lifelong love of learning arises? And if that is so, when might your “Harley” enter the blogosphere to contribute an additional unique perspective bringing even more joy and wonder to learning? It's been an honor to serve as community leader for the Illinois/Ohio Cohort of PLP. The PLP model is extraordinary-- encouragjng and enabling incredible learning and growth for all those who participate. Sheryl and I are excited to announce the inaugural Powerful Learning Practice Visioning Boot Camp for Educational Leaders to be held at the Science Leadership Academy in Philadelphia this summer. You can get all of the details here, but the bottom line is we’ve put together a three-day event for a limited number (25) of participants that we think will help school principals and superintendents get a deep understanding of how the world is shifting, identify and articulate the challenges that we face, begin some serious conversations about long term change in personal and classroom practice, and create a foundation for long range planning. We’re really pleased that Chris Lehmann will be our host for the three days and that he will be among a group of forward thinking leaders who will share their experiences and expertise with us. We hope you (or your school leader) will join us! 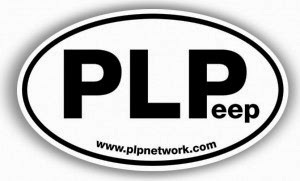 PLP, Powerful Learning Practice— Sheryl and Will have purposely a designed a professional development model for 21st century learning that is about learning, unlike so many others whose focus is tools. Throughout the life of the Illinois Ohio cohort, they have pushed, nudged, encouraged, and exhorted community members to engage in understanding the shifts inherent in 21st century learning. My own personal journey causes me to wonder if community members personal deep beliefs in how people learn have yet been objects of exploration (although there have been many and varied opportunities), resulting in their reluctance to embrace “shifts” that characterize 21st century learning. Some 11 years ago, having had an incredible opportunity to participate in 40 hours of professional development on unique and compelling uses (publishing, real time data, communication, collaboration) of the Internet in education, I found my students learning skyrocketed when we participated in collaborative projects. At that time, I decided that learning was the result of using the Internet and I wanted to share that with other teachers. I was wrapped up with the use of the tool. I left the classroom to become a resource teacher in the Instructional Technology Office of a large urban district. Over my three years in that position, I reflected upon all I’d done in my classroom and learned as much as I could about learning. I spent hours designing professional development for teachers that modeled good learning with unique and compelling uses of the Internet, realizing that it wasn’t about technology at all, it was about learning and what I believed about how people learn. I returned to the classroom, humbled and eager to design learning experiences with and for my students. So I know well that understanding the new science of learning is important and hard work, yet it’s not new. Learning is influenced in fundamental ways by the context in which it takes place. A community-centered approach requires the development of norms for the classroom and school, as well as connections to the outside world, that support core learning values. Teachers must attend to designing classroom activities and helping students organize their work in ways that promote the kind of intellectual camaraderie and the attitudes toward learning that build a sense of community. In such a community, students might help one another solve problems by building on each other’s knowledge, asking questions to clarify explanations, and suggesting avenues that would move the group toward its goal (Brown and Campione, 1994). Both cooperation in problem solving (Evans, 1989; Newstead and Evans, 1995) and argumentation (Goldman, 1994; Habermas, 1990; Kuhn, 1991; Moshman, 1995a, 1995b; Salmon and Zeitz, 1995; Youniss and Damon, 1992) among students in such an intellectual community enhance cognitive development. Adapting new theories of learning are even more challenging yet needed. We are growing in our understanding of learning. Research in neuroscience, theories of social-based learning, and developments in learning psychology create new understanding of the act, and process, of learning. Learning…occurs in communities, where the practice of learning is the participation in the community. A learning activity is, in essence, a conversation undertaken between the learner and other members of the community. This conversation, in the web 2.0 era, consists not only of words but of images, video, multimedia and more. This conversation forms a rich tapestry of resources, dynamic and interconnected, created not only by experts but by all members of the community, including learners. Of most importance is that educators are reflecting on how learning has changed and the accompanying implications of how we design the spaces and structures of learning today. My journey, my evolving practice and changing beliefs about learning-- from behaviorism with task based learning, to cognitivism with clear objectives and problem solving, to constructivism with social learning and knowledge construction by each learner, to conectivism with complex, open, autonomous, distributed learning -- was long, was arduous, was essential. I’d like to think that evolution reflects my ever increasing understanding of the new science of learning and the recognition of the new opportunities for learning afforded by today’s emerging technologies. Yet, today there is more urgency, a greater need to make a great leap to connected networked learning -- to provide appropriate learning experiences for our children in today's world. More than exciting-- Members have begun to develop personal learning networks-- Teams are grappling thoughtfully and carefully with the design of a project— Both essential components of the visionary PLP model. And yet I worry--- that members of this cohort may inadvertently allow a glorious opportunity to whoosh right on by— the possibility to develop and improve a global practice—a grand endeavor that is greater than each of us— that can lead to the systemic change that we espouse— That opportunity--the real work of building a community of practice. "President Obama's inauguration is not a beginning, but the continuation of a glorious history that is hallmarked by the American people's desire to be one. Our Constitution demands it. And it forces us to a life much greater than the Founding Fathers could have possibly imagined." "Yes, our greatness as a nation has depended on individual initiative, on a belief in the free market. But it has also depended on our sense of mutual regard for each other, of mutual responsibility. The idea that everybody has a stake in the country, that we're all in it together and everybody's got a shot at opportunity. Americans know this. We know that government can't solve all our problems - and we don't want it to. But we also know that there are some things we can't do on our own. We know that there are some things we do better together." "We could learn a lot from crayons: some are sharp, some are pretty, some are dull, some have weird names, and all are different colors....but they all exist very nicely in the same box." "We allow our ignorance to prevail upon us and make us think we can survive alone, alone in patches, alone in groups, alone in races, even alone in genders." "We will continue to flourish because our diverse American society has the strength, hardiness, and resilience of the hybrid plant we are." Over 10 years ago, more than a decade, a long time-- the large urban district in which I taught purchased the first filter for the emerging network. A vision of engaged learning through rich primary sources, real time data, and communication was deferred. Today, now, some 10 years later-- a lively conversation on the NING of the Illinois/Ohio cohort of PLP reveals that nothing--nothing has changed, filters continue to hinder/prohibit opportunities for learning for students and educators. Enough. The time is now to move to collective action. To do something. A meaningful project for students, an opportunity for problem based learning—but I’m without at this point in my career. Yet, I’m feeling compelled, remembering my students, to not let this go. Will you join me? For our children and their futures?